For every business enterprise to recruit and maintain a group of skilled and hardworking employee, it is imperative to establish a sound HR department. This department takes care of recruitment, employment, probation, performance reviews and remunerations on behalf of the company. Therefore, it is necessary for the department to draft and print numerous sets of documents and hr forms which will assist in the above mentioned aspects of company operations. 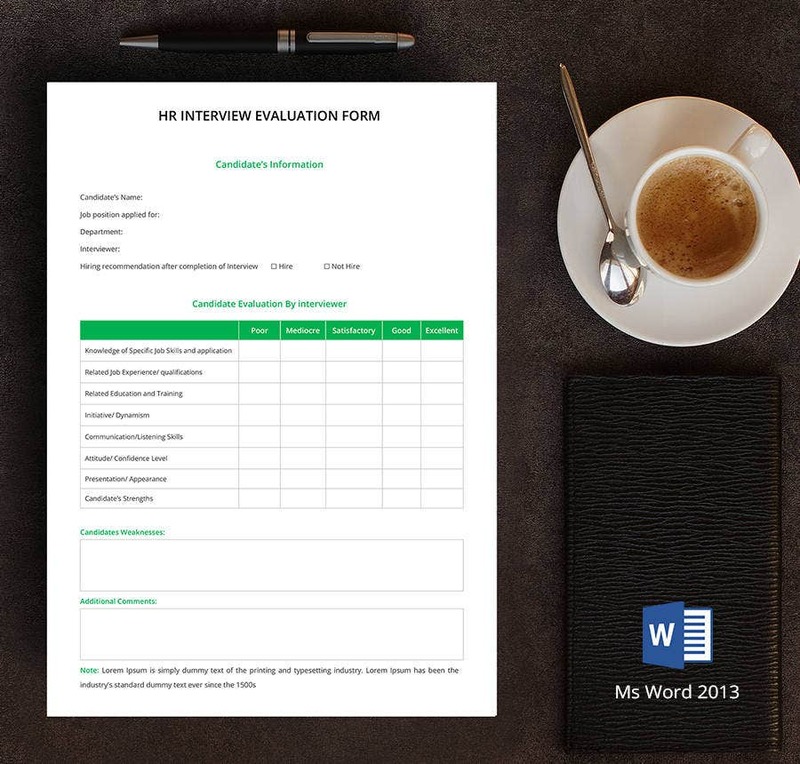 This editable and printable document can be used to evaluate a new candidate’s performance as against the evaluation of the interviewer. This is one of the most important documents of the HR department. In any company, lateral transfers are a common circumstance. This HR Template can be downloaded to create and document internal lateral transfers in an organization. The spacious layout coupled with the simple form filling procedure makes this template a winner. Every employee who works in a business organization demands to voice any concern or complaint which needs to be looked into. With this template, an employee complaint or concern can be captured, documented and rectified. One of the major responsibilities of the HR department is to ensure that every employee treats the other with utmost respect and honor. 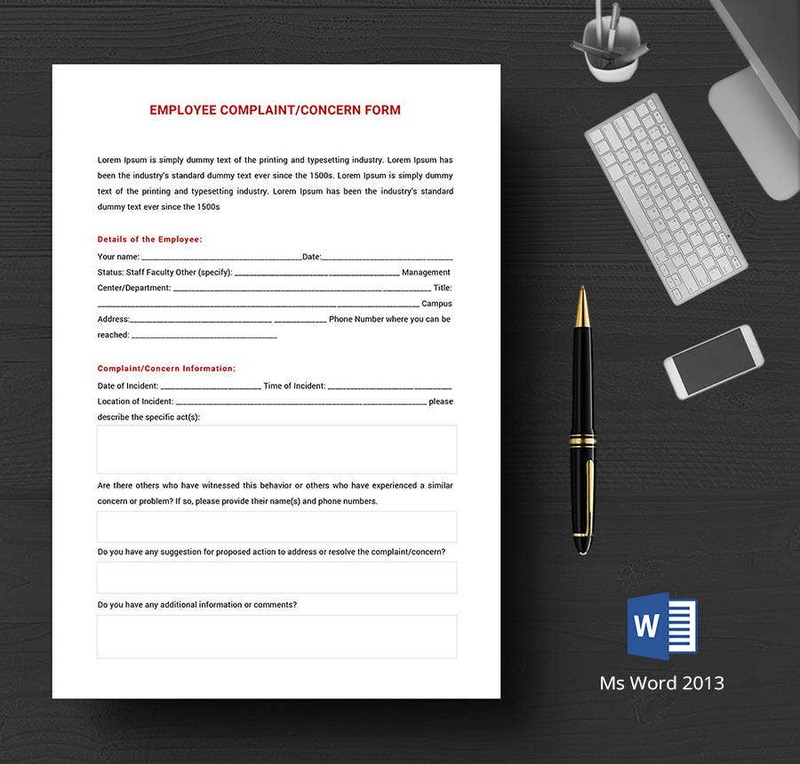 This editable template can be downloaded and customized to custom-build an Employee Complaint form for your company. The simple but structured HR Compliant form is to record instances of employees getting at loggerheads with each other which may or may not have caused a setback in productivity. This form is particularly filled by the HR department themselves. Reviewing positions and job responsibilities is imperative in every organization. The application of reclassification form does just that! This form encompasses every important detail of reclassification and once downloaded, you can edit it to suit your company’s needs. 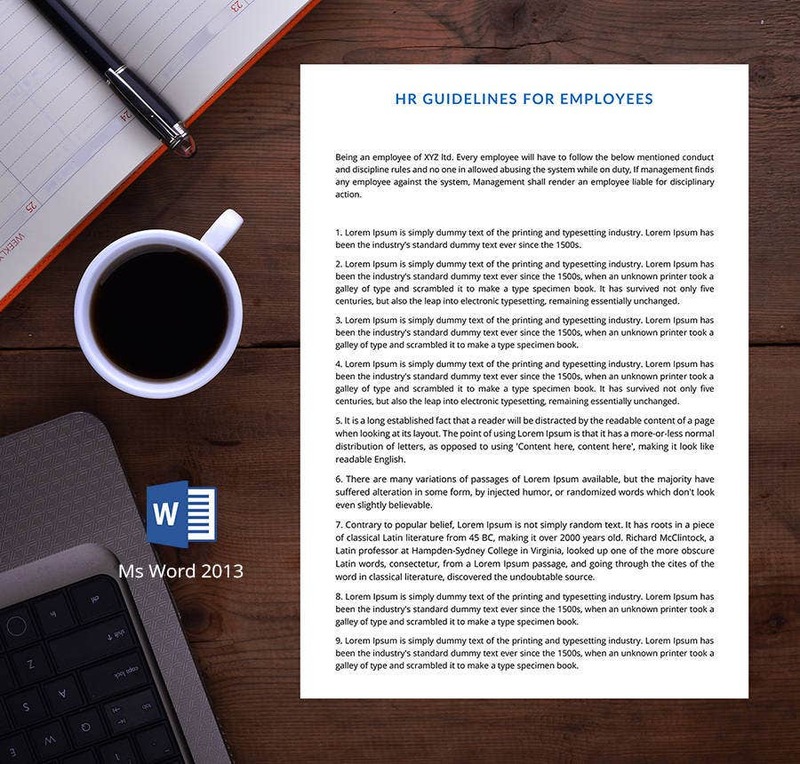 Having a neat, detailed and structured HR guideline for every employee is mandatory for any enterprise and this document can be a great way to format an exclusive document for your organization. 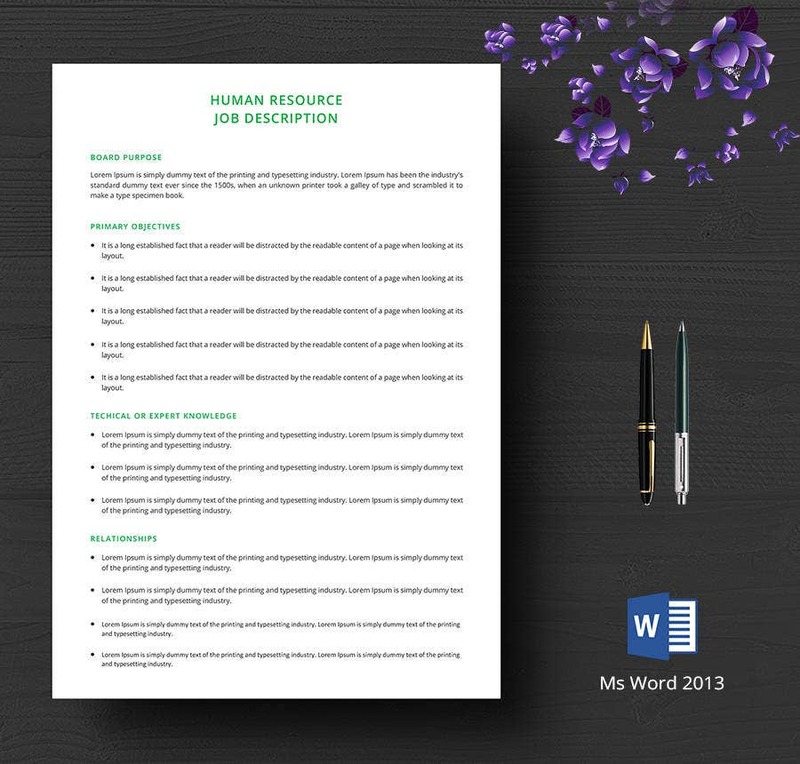 This Job Description HR template is an easy editable and simple format to lay out the job descriptions and responsibilities of a new recruit in your organization. A structured spaced out layout is what makes this document unique and handy. > How to use the HR Forms Template? 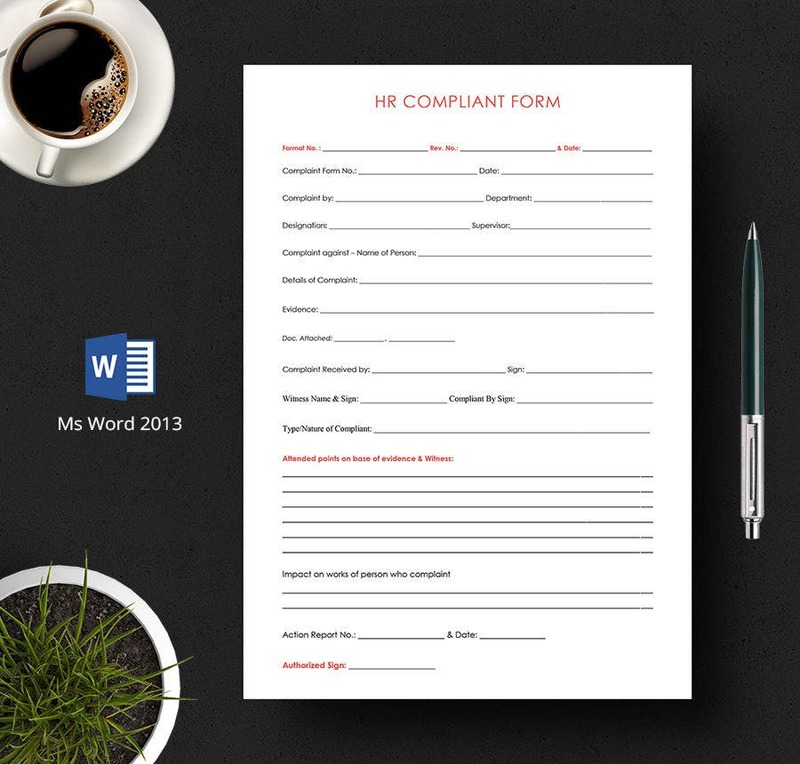 These HR Form templates are smart and editable, customizable documents which can be downloaded by any company’s HR team to create a set of mandatory document recording process to track employee details. These templates have been created keeping the ease of writing and viewing of information in mind and the spacious columns provide total comfort to key in invaluable information of any desired length. The forms are devoid of any unnecessary margins or ornamentation which renders them a professional look. 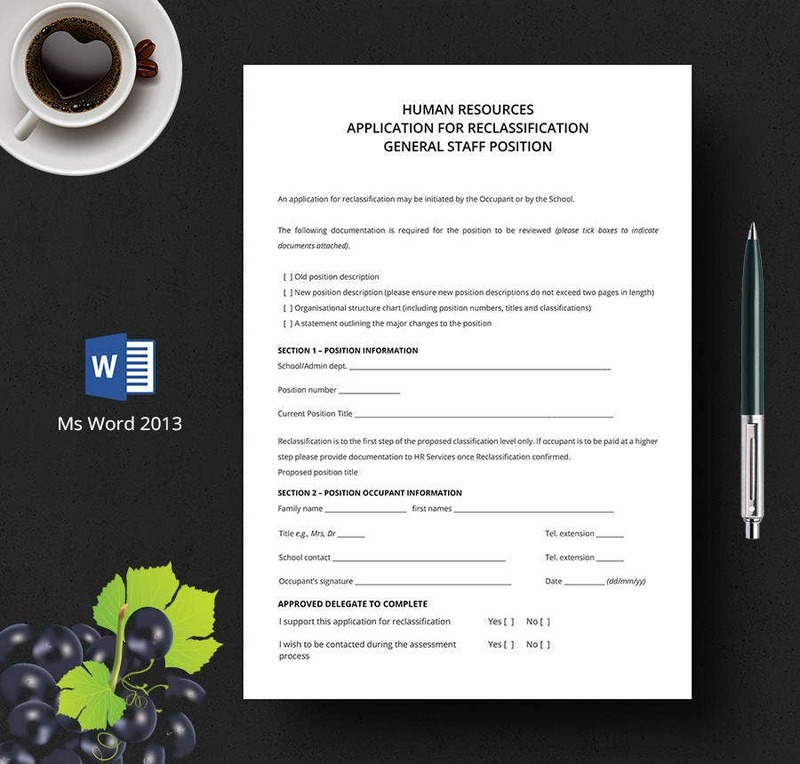 The HR forms such as the employee recruitment and job description templates simply needs your company literature to be included to render a personalized document for your organization. > What are the benefits of the HR Forms Template? 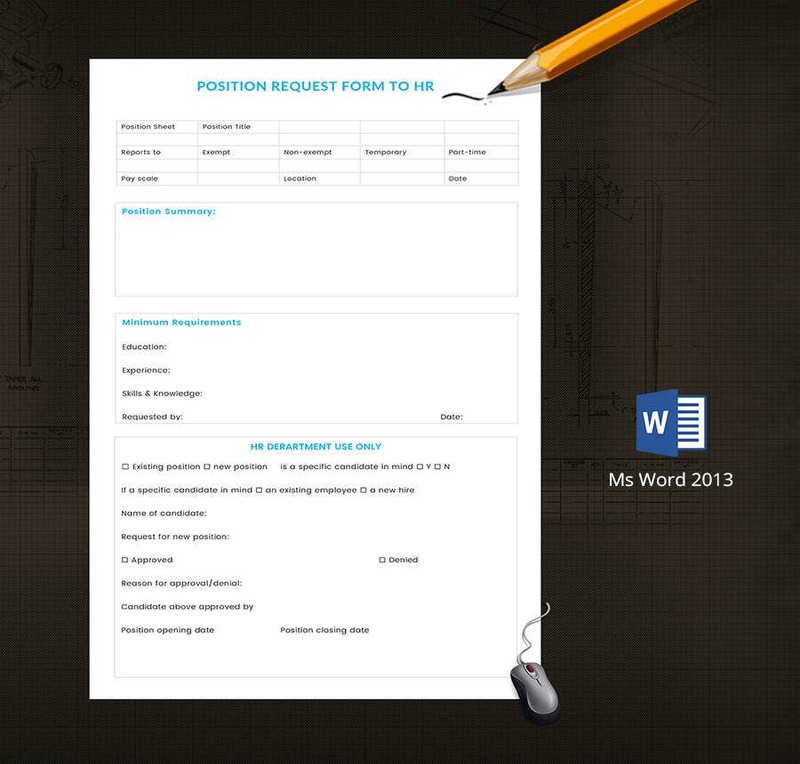 HR Form templates are mandatory for any employee driven business enterprise. As a member of the HR department, you have to record employee details, hiring processes, performance reviews, salary hikes, transfers and attrition and numerous other documented information required to keep by law. Hence you need specific forms to fill in the details covering all the relevant information. 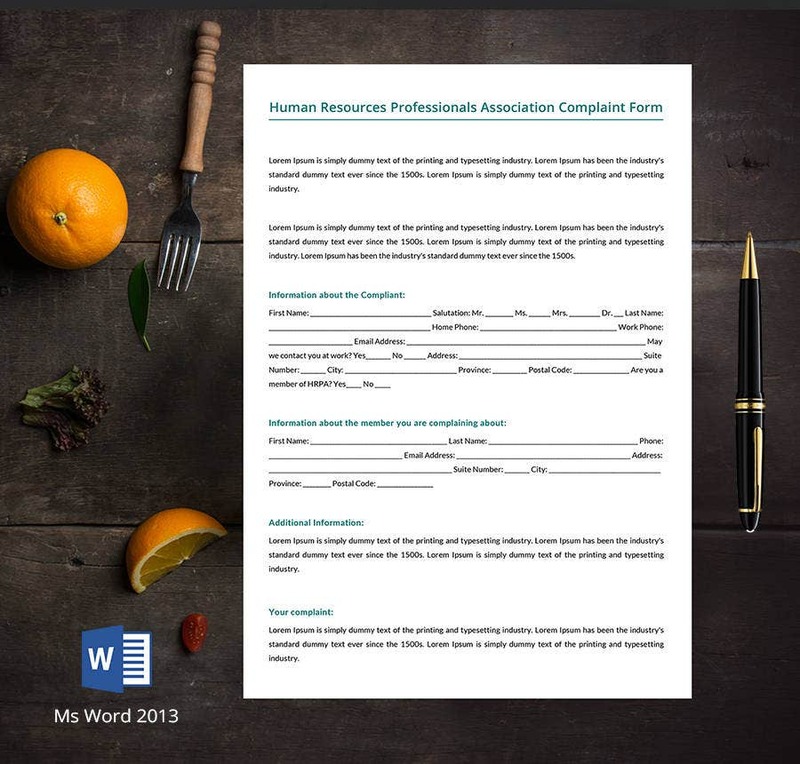 These HR templates can be quite handy and can save you the hassle from creating HR templates and record forms from scratch. The fully editable templates ensure that you do absolutely minimal editing to create real time smart documents and forms to keep employee information in order.